Outside the Li family, changes were taking place quickly. In April 1911, the Manchu government’s plan to nationalize all railways met stiff opposition from the business communities in Hunan, Kwangtung, and Hupei provinces. There were student strikes, business boycotts, and riots. In Szechwan Province, opposition to the plan was especially fierce. At one demonstration, the government arrested more than ten petitioners, and when more demonstrators protested, troops opened fire, killing more than forty people. The government’s action led to increasing outcries against its policies and accelerated the revolutionary movement led by Dr. Sun Yat-sen. On October10, 1911, the revolution began in earnest in Wuchang. Other provinces rapidly declared their independence from the Manchu government. With the abdication of the Manchu emperor on February 12, 1912, the Republic of China was established. Having anticipated the coming social and political storm, Pa Chin’s father had resigned from the post as magistrate of Kuangyüan early in 1911 and moved his family back to Chengtu. Leaving the carefree days of Kuangyüan behind, Pa Chin lived the life of an affluent 7-year-old in his grandfather’s compound in Chengtu, totally unaware of the political changes taking place. Besides playing with his cousins and studying with a tutor, he spent much of his time with the servants, sometimes assisting them with their work. This close and warm contact with the servants continued throughout the time he was growing up, liberating him from his elders’ rigid prejudices and making him appreciative of the virtues of the poor. Having been impressed by generous hearts among the poor and downtrodden during his childhood, he later became their passionate defender. In 1917 his father died. The loss of both parents within three years was a hard blow. In Yi [Memoirs] he wrote: “The first blow in my life was my mother’s death; then came my father’s. At that time I was very young and I should have been a child sheltered and protected by my parents. One blow after another was too much for me to bear.”‘ His father’s death symbolically ended his childhood innocence and opened his eyes to the hatred and perfidy within his family, which had been well hidden by its facade of family togetherness and harmony. Late in 1917 Pa Chin’s grandfather allowed the boy to attend English classes at a YMCA school in the belief that a knowledge of English would help Pa Chin obtain a well-paying position in the postal service. However, during that one month at school, Pa Chin was sick three times. As a result, his grandfather insisted he resume taking private lessons at home. Following his father’s death, his grandfather had been kind to him. Gradually he began to see his grandfather as less a stereotyped figure and more a person. Meanwhile in Chengtu, Pa Chin and his brothers avidly read newspapers and periodicals from Shanghai and Peking. At the same time, Pa Chin also became interested in Kropotkin’s “An Appeal to the Young” (1880), an eloquent exhortation to political activity. Partly influenced by Kropotkin, he became dissatisfied with merely reading and wanted to do something positive. But no one gave him any guidance. He wrote to Ch’en Tu-hsiu, the editor of New Youth, but received no reply. He then obtained a copy of a Chinese translation of Leopold Kampf’s Yeh wei-yang [On the Eve] . It opened his eyes to the tragedy of the youth of another country in their heroic struggle to win liberty and happiness for the people.5 He then read works by the anarchist Emma Goldman. Her essays so overwhelmed him that he called her his “spiritual mother” and later corresponded with her. In his reading, Pa Chin was attracted to anarchism’s total attack upon those institutions, attitudes, and theoretical positions which were based upon the acceptance of authority and to its belief in man’s reason, goodness, and perfectibility. His opportunity for action finally came. After reading an article in a local newspaper, Pan yüeh [Semi-monthly] , he wrote to the editor and offered to join its Shih she (Equitable Society), an anarchist organization. He was immediately accepted as a member. Soon he and his new friends formed a new organization called the Chun she (Equity Society). Identifying himself as an anarchist, he wrote and published articles and books, communicated with other members of the Society, recruited new members, and distributed propaganda in the streets. At home, Pa Chin became aware of the luxurious lifestyle of his family, all of whom lived in a spacious compound staffed by more than twenty male and female servants and maintained primarily by rents from land leased to farmers. He saw too the debased life of the servants who toiled and slaved for his family with little recognition or reward. He resented the social injustice upon which his family depended for its standard of living and was disgusted by the constant bickering among his relatives and by their unproductive lives. He considered his grandfather’s control of the family to be authoritarian, and he characterized his family as a “despotic kingdom” with outdated customs and rules which stifled individual growth and fostered hypocrisy and deception.6 Moreover, he considered his eldest brother as a prime victim of the traditional family system. A bright young man, his eldest brother had married a woman of his father’s choice, discontinued his studies, and taken charge of the household after the death of his father. Angry at the system and at himself, his eldest brother would take out his frustrations by breaking the glass windows of his sedan-chair late at night. Every time Pa Chin saw his eldest brother commit this wanton act of frustration, his heart writhed in sympathetic anguish. On Chinese New Year’s Eve in 1919, Pa Chin’s grandfather died. After his grandfather’s death, Pa Chin’s third uncle ruled the family. Pa Chin felt that the family had gone from bad to worse, but, in fact, he had more freedom to do as he pleased. In the summer of 1920, he and his elder brother enrolled in a foreign language institute in Chengtu. He studied there for two and a half years but did not receive a diploma because he did not have the necessary middle school credentials. This kind of treatment prompted his stepmother to send both him and his elder brother to study in Shanghai. Near the end of spring in 1923, Pa Chin and his elder brother arrived in Shanghai. Six months later, they went to Nanking to attend a middle school affiliated with Tung-nan University. After graduating from middle school in Nanking in 1925, Pa Chin intended to take the entrance examination for the National Peking University, but illness and the May Thirtieth Incident derailed his plan. On January 15, 1927, Pa Chin left Shanghai for Marseilles. From Marseilles he went to Paris, where he rented a small and poorly-ventilated room on the fifth floor of a dilapidated hotel. His life was cheerless. Reading and boredom gnawed away at his youth. To combat his loneliness he began to write the novel Mieh-wang [Destruction] and to translate Kropotkin’s Ethics. He returned to China in December 1928, and published his first novel, Destruction, using the pen name “Pa Chin” to indicate the influence of Bakunin and I . Kropotkin on his writing career.7 During his two years in France he did not obtain a diploma or a degree. Later he wrote: “I learned nothing, not even French. I just read a bunch of books haphazardly, and wrote a novel called Destruction.8 In fact, he had become a writer and had acquired an extensive knowledge of radical literature. China in 1928 was as chaotic as it had been in late 1926. Chiang Kai-shek’s Northern Expedition did not achieve its objectives. Warlords controlled more of China than did Chiang’s Nanking government. Meanwhile, labor unrest continued; in 1928 alone there had been one hundred and forty strikes in Shanghai. In the countryside peasants continued to suffer at the hands of landlords and from the capricious whims of cruel nature. Under such circumstances, Lu Hsün (1881-1936), China’s best known and most respected writer and critic, rallied young men and women to the use of writing as a weapon to effect social change. After the serial publication of Destruction in Hsiao-shuo yüeh-pao [Fiction Monthly] from January through April, 1929, Pa Chin responded to Lu Hsün’s call. He used his writing to express his personal views and to propagate anarchist ideas. Despite his widespread fame as a writer, Pa Chin continued to be harassed by government censors, who considered many of his works subversive. Resenting the stifling political climate in China and seeking greater freedom and a better perspective on life, he went to Japan and stayed there from November 1934 through July 1935. His Japanese sojourn was disappointing. In his essay “Fan-hsing” [“Galaxy of Stars”] , written in January 1935, a fictional character presumably speaking for Pa Chin asks: “Why did I come here [to Japan] ? The freedom I craved is non-existent here. I have left a `crooked road’ for a little temporary peace and quiet in a strange land and spent my time on useless books. Isn’t this a life of indulgence?”16 like his fictional character, Pa Chin experienced even greater political oppression in Japan than he had in China. Because of the impending visit to Tokyo of Henry P’u-yi, the Emperor of Manchukuo, Pa Chin was arrested by the Japanese police and detained for a day in a police station, an experience which later became the basis of his short story “Jen” [“Man”] . In short, during his most productive period, Pa Chin was deeply disturbed by inner discord and a search for his true self. He was haunted by his call for action by others, while he himself remained inactive, and by his gradual awareness of his own inability to change things. In a less than happy mood, Pa Chin returned to China in July 1935 to become editor of the Wen-hua sheng-huo [Culture and life] Publishing Company in Shanghai. He edited and published many Chinese and foreign classics as well as works by young Chinese writers. He also translated a number of Turgenev’s works into Chinese from Russian and wrote Ch’un [Spring] and Ch’iu [Autumn] , sequels to the novel Family. Among his prose works of the period were K’ung-su [J’Accuse], Yi [Memoirs], Tien-ti [Drops], and Tuan-chien [Short Notes]. After the outbreak of the Sino-Japanese War in 1937, Pa Chin wrote war poems, essays, and letters to condemn the wanton Japanese bombings and to praise the heroic efforts of the Chinese!’ When the Chinese troops withdrew from Shanghai following a valiant defense of the city, Pa Chin moved to the French Concession, an area still controlled by the French. In sorrow he heard of the fall of Nanking (December 13, 1937) and of the atrocities committed there by the Japanese, and of the fall of other major Chinese cities including Tsingtao and Hangchow. 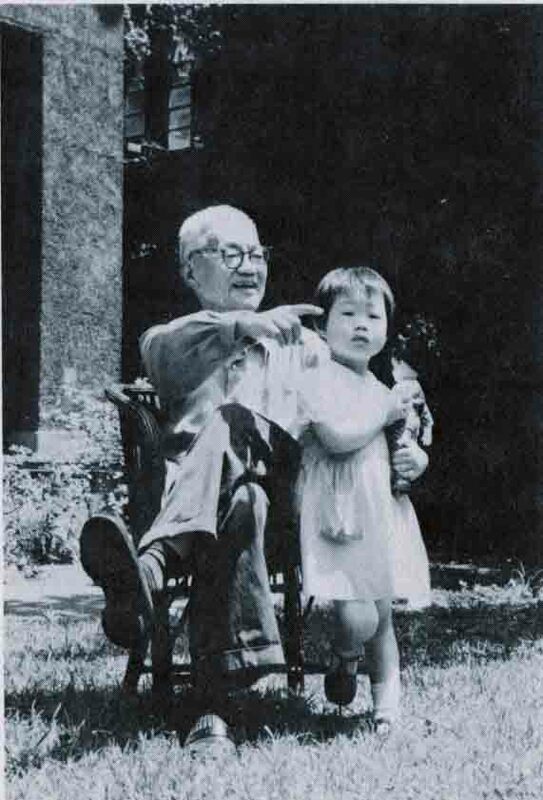 In 1937 and 1938, besides his work at the Culture and life Publishing Company, he served on the editorial boards of Feng-huo [Beacon] and Na-han [Outcry] magazines and resumed his writing of Spring. In April 1938, after he saw the galley proofs of Spring, he left Shanghai for Canton, where he wrote the first volume of his Huo [Fire] trilogy. During the war years, Pa Chin traveled extensively throughout China. He made a number of trips to cities such as Changsha, Wuhan, Wuchow, and others, and he lived and worked in Canton, Kweilin, and Shanghai. On May 8, 1944, he married Miss Ch’en Yun-chen in Kweiyang. In May and June of 1944, the war situation deteriorated. Pressed by Japanese attacks, the Chinese army retreated in Hunan and Kwangsi, and on June 18, Changsha fell to the Japanese. The Japanese surrendered in August 1945. But the victory did not bring much joy to Pa Chin. His feelings toward the victory were vividly expressed in his novel Cold Nights and in his dramatized essay, “Wu t’i” [“No Title”] , written in 1946. Like the characters in Cold Nights and “No Title,” Pa Chin was eager to leave Chungking; he returned to Shanghai two months later. His elder brother had been seriously ill and died in December 1945. In addition to being troubled by his brother’s death, he was also very much disenchanted with the post-war Nationalist government. In 1946, his output was limited to a few memorial essays in memory of departed friends. He resumed his post as editor for the Culture and life Publishing Company in Shanghai and began to translate Kropotkin’s Speeches of a Rebel. He continued to support anarchist activities in China and kept up his connections with anarchists abroad; he also showed a great interest in Christianity and often met with Father Monsterleet, a Belgian Jesuit, who was then writing a book about him. In 1947 he published Cold Nights and several short stories. As a result of the Communist Party’s rigid control over literature, beginning with the expanded Party-directed mass-criticism campaign in 1952 and followed by even more stringent controls over literature in 1954-55, few writers of the period before the Communist victory produced much. Ts’ao Hsia Yen, Yeh Sheng-tao, Hsieh Ping-hsin, and Mao Tun all quieted their revolutionary fires of the 1930s and early 1940s. Pa Chin wrote cautiously. His visits to Korea led to his writing about the Chinese who fought there in Ying-hsiung ti ku-shih [Stories of Heroes] , which was published by the Foreign Languages Press of Peking under the title Living Amongst Heroes. During the “cheng-feng” or “rectification of working style” campaigns in 1954 and 1955, many old writers were singled out for attack. Then the “Hundred Flowers Bloom” campaign began in 1956. In theory at least, the government invited writers to express their feelings on all subjects. At first reticent, the innocent writers soon expressed their frustrations with Party bureaucracy and other evils. A year later the government reversed its policy and punished those who had spoken out against the government. Pa Chin’s life mirrors the changes in twentieth-century China. Born during the transition period that led to the collapse of the Manchu regime and the establishment of the Republic of China, he was affected by the turmoil of the tens and twenties — student agitation, new cultural impulses and movements, increased foreign aggression, and the civil strife between the Nationalists and the Communists. He suffered and lived through the long Sino-Japanese War, and welcomed the victory of the Communists in 1949. The divided country which he loved was finally united but, ironically, under a government which denied freedom to individuals, a right which he cherished most dearly and sought to promote in his works. In what he wrote before 1949, he was at least consistent in his artistic beliefs. From the very beginning, he was inspired by a sense of evangelical mission to do his best to help build a just society and a stronger China. He called himself a writer of conviction, and declared repeatedly that he was not an artist, that his message was more permanent than art, and that he would, if necessary to further his convictions, forsake his art without any compunction. He wrote for one purpose only-to arouse a hatred of “darkness” and a love of “light” and “truth” among his readers. Consistent with that belief, in his early fiction he attacked what he considered evils of society: capitalism, exploitation of Chinese labor,by foreigners, and other themes. During the 1930s, his most productive period, he concentrated on his major theme: the evils in and the decline of the old family system. Autumn in Spring was a prelude to his most impressive achievement: the Turbulent Stream trilogy, the most comprehensive expatiation on the old family system yet written in modern China. Family, the first book of the trilogy, was well received, widely praised and frequently compared to the classic Chinese novel Dream of the Red Chamber in its wide range of characters and themes. In the 1940s, he returned to his interest in the family system in Leisure Garden and Cold Nights. During the Sino-Japanese War, like many other writers of the time, he wrote about the activities of patriots both in short stories and in the Fire trilogy. In Hsiao-jen, hsiao-shih [Little People, Little Things] he robbed the war of its glamor and wrote about the “little people” exactly as they were. His pessimism about China grew as the long war dragged on, and was fully reflected in Ward Number Four and, particularly, in Cold Nights. All through his life, he never wavered in his editorial mission regarding his country and his people. His writings reflected a sentimental journey from his optimism of the 1920s and 1930s to his despair of the 1940s.30 There is no doubt that his major achievement lies in the comprehensive picture he painted of China during those twenty-odd years. It is an artist’s personal record, and it correctly reflects those tumultuous years. Emphasizing content and social message rather than artistic form, a number of Pa Chin’s novels, though highly popular, are artistically weak, perhaps because they suffer from unconvincing attempts at realism, colorless revolutionaries, stereotyped characters, and a frequently wooden and monotonous style. However, one notable exception is the novel Cold Nights; it stands out as one of his masterpieces. It demonstrates an artistic maturity rarely seen in his previous works. Besides stressing the frightening aspects of a long war, he maintains the feeling of doom through his use of the imagery of dark and lonely nights and the change of seasons; he gives the reader a feeling of participating in the action through his use of scene; he presents the conflicts among the major characters through dialogue; and reveals the psyches of the major characters through monologue. All these devices contribute to the suffocating intensity of the novel while they deepen the reader’s understanding of the members of a modern Chinese family during the darkest hours of the long war. Readers of Cold Nights are likely to be overwhelmed by the consistent and persistent atmosphere of doom which is skillfully achieved by Pa Chin through the use of one principal image: night. Through thirty chapters and an epilogue, daytime scenes are limited to six chapters (3, 4, 5, 9, 17, and 25); and only eight (Chapters 11, 12, 13, 14, 20, 26, 27, and 29) contain both day and night scenes. The other seventeen (a majority of the chapters) are set at night. To convey a feeling of doom, Pa Chin stresses gloominess, dimness, and darkness. Even during the daytime, the sun never shines, the sky remains gloomy, cloudy, and threatens rain. His nights are usually dark and cold, the settings dimly lit. The novel begins with a dark street scene which is soon replaced by the entrance of an apartment building. It is the dwelling of the protagonist Wang Wen-hsüan. The entrance is described as cave-like and a roundish red doorlight glows dimly. Wang’s two-room apartment is subjected to frequent interruptions in the electric power, and when one occurs, Wang and his mother have to use a candle. The streets outside the apartment are also without light, or at best have a few isolated lights amidst a background of darkness. If all the settings are dark or nearly dark, some of the characters in the novel, many of whom unidentified, are shadowlike. They are the shadows crouching in the dark in Chapter 1, a handful of pedestrians moving hastily in the cold wind, the children who lie outside Wang’s apartment in the cold, the refugees in the epilogue, or a neighbor woman, Mrs. Chang, holding a candle in her hand while walking up the stairs. And then there are the noises of the night: the sound of rats chewing on the wooden floor, Mrs. T’ang Pai-ch’ing shrieking for her husband, a woman’s tragic voice wailing for the spirit of a sickly child to come home, and every night the haunting voice of an old hawker selling hot water and fried rice-cakes. Night is the time for troubled dreams. Wang has a series of them, beginning with one extensively described in Chapter 2, in which his wife Shu-sheng leaves him after an argument with his mother. The nightmare itself fore-shadows the novel’s ending. As the story progresses, Wang’s body deteriorates physically, though his mind becomes ever more active. Lying in bed, he has many other nightmares. In each his wife runs away with someone, or he or his mother dies. It is at night or in the very early morning hours that Shu-sheng actually leaves Wang to go to Lanchow. Her departure marks the end of Wang’s hopes and begins the last stage of his life. It is also at night that Mrs. T’ang Pai-ch’ing dies in childbirth, T’ang is killed by a truck, and Uncle Chung and Wang die in a hospital and at home respectively. The dark and dismal settings do not merely serve as decorative backdrops to enhance the atmosphere of doom; they are also an important structural device, giving unity to the book. For instance, the first chapter is similar to the epilogue in its emphasis. Whereas Wang (Chapter 1) hears disgruntled voices from dark corners of the street, a lonely shivering Shu-sheng (Epilogue) overhears passersby commenting and complaining about how little their life has improved since the Japanese surrender. The implication is clearly that misery drags on. 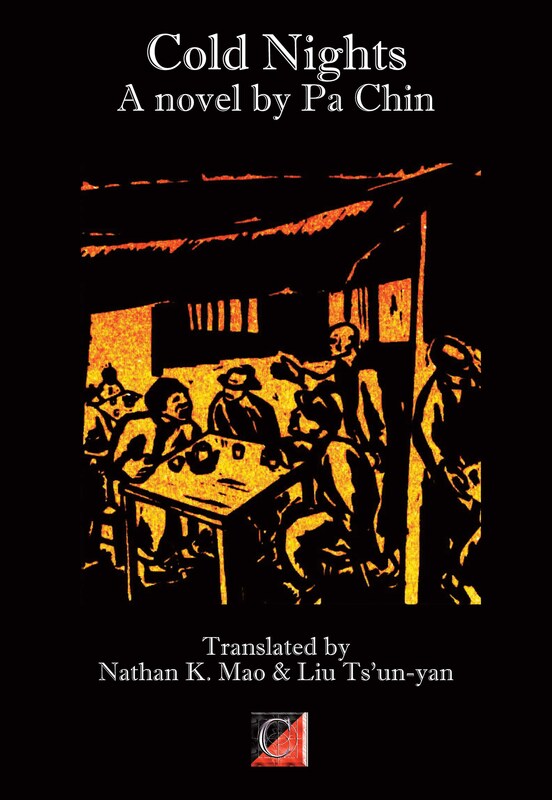 Night and darkness dominate the entire book and typify the lives of many of its characters, particularly that of Wang Wen-hsüan. In addition to using night as a principal image in the novel, Pa Chin uses the change of the seasons to mirror the inner condition of the central characters. The novel begins in the fall and ends in the fall, covering the cycle of one year. And fall is a season which suggests the withering of a dying relationship, as symbolized by Wang’s frequent feelings of chill. Winter is the longest season in Pa Chin’s bleak world. Throughout the almost endless winter, Wang, his mother, and his wife suffer continuously. During the winter, Wang discovers the seriousness of his illness, loses his job and his wife; his mother’s resentment of her daughter-in-law increases and she worries about the future of her seriously ill son; and Shu-sheng agonizes about whether to go to Lanchow. Spring proves to be illusory. Wang’s health fails to improve; the mother’s hopes about her son’s recovery prove to be false; and Shu-sheng, in leaving, vainly struggles after the happiness which has evaded her. Summer kills Wang. It is on a summer day that he dies; summer also brings total despair to his mother, who has lost not only her son but the sole means of her support. But it is once again in the fall that Shu-sheng returns to the city, only to find her husband dead and to become vaguely aware that she has been victimized by a romantic illusion. And another winter is coming, another season of pain and uncertainty, like the previous long winter in that two-room apartment with her husband, her mother-in-law, and her son. In addition to utilizing to the full the images of night and the change of seasons to convey a sense of doom and the inner world of his characters, Pa Chin uses summary and scene for narration. His general method is to keep summary to the barest minimum, and to use scene to dramatize very intense moments, such as Shu-sheng’s departure for Lanchow (Chapter 23) and Wang’s mother keeping vigil by her son’s bed (Chapter 30). Both scenes are extremely moving. The first describes an anxious Wang waiting for his wife to come home from a party on the eve of her departure, continues with Shu-sheng packing, and ends with their actual farewell. Its detailed description of the characters’ every move and every thought helps to make it one of the most memorable and pathetic scenes in modern Chinese literature. The second vividly portrays a possessive mother’s love for her son in her expressions of concern and her deepening sense of total despair. In his use of scene, Pa Chin gives the reader a feeling of participating intensely in the action, and he uses dialogue not only to provide the reader a sense of immediacy, but also to show conflicts between and among the characters. Among the more notable examples of effective dialogue are the exchange of insults between Wang’s mother and her daughter-in-law (Chapter 18). This scene clearly reveals the sharp differences between the values of traditional and modern Chinese women. Another example is the conversation between Wang and his wife in the fashionable International Café (Chapter 5) when Wang tries to convince his wife to return home with him after she has moved out. Their conversation discloses the depth of Wang’s dependancy on his wife and her resentment of everything, including her job and family. Another device used with great effectiveness is the internal monologue or “stream of consciousness.” Pa Chin’s type of monologue differs from that of James Joyce, Henry James, or Virginia Woolf. It is an organized monologue in which the mind presents reasoned and ordered thought, the “end-product” of the “stream of consciousness” rather than the disordered stream itself. One example of the use of this device takes place in Chapter 1, as Wang, coming out of an air-raid shelter, adds up in his mind an account of his family life. A second device Pa Chin uses to reveal the thoughts of his characters is the epistolary method, which brings the reader close to the thoughts and feelings of the character. For example, in a letter Shu-sheng writes to Wang, she fully reveals her heart and mind in an analysis of her non-productive relationship with her husband.31 A third device used to reveal a character’s unconscious is the recounting of dreams and fantasies. For instance, Wang’s feeling of insecurity about his wife’s attitude toward him, his need and love for her, his love for his mother, and his apprehensions about the future are all clearly revealed in the extended dream already referred to above (Chapter 2). A great part of the achievement of Cold Nights lies in Pa Chin’s portraits of Wang’s mother, Wang’s wife, and Wang himself. Wang’s mother is a widow who raised and educated her son without any help. Deeply rooted in old traditions, she believes that a married woman should obey her husband, honor her mother-in-law, and spend most of her time at home doing housework. She sees in her daughter-in-law the living embodiment of a set of repugnant values diametrically opposed to hers. She dislikes Shu-sheng for not having insisted on a proper wedding ceremony when she married her son; she resents Shu-sheng’s working at a bank and for being the one who can and does pay for her grandson’s tuition; and she disapproves of Shu-sheng’s dressing up “as a flower vase” and not doing much housework. Her resentment of Shu-aheng’s modern privileges barely conceals her unspoken desire to possess her son forever. Again and again, she tries to drive a wedge between her son and his wife by telling him that Shu-sheng won’t stay with him and that Shu-sheng is no more than his mistress. But to Wang, she will forever be his good mother. She is shown mending her grandson’s worn-out winter jacket, washing clothes in cold weather, doing all types of housework and worrying about her son’s health. As he deteriorates physically from the ravages of tuberculosis, she stoops to do housework that few Chinese servants of the 1940s would touch. She scrubs, cleans, and cooks, prepares his medications, comforts him, and all the while hopes for his eventual recovery. But unconsciously and simultaneously, she is also aware of the advantage to be gained from his death, for then he will be hers forever. One of her wishes has been that he remain her young and uncorrupted child, and with his death he will fulfill her wish and make her victorious dyer her arch-opponent, Shu-sheng. Caught in this struggle for the only male adult in the family is Shu-sheng. Pa Chin portrays her as a good but weak-willed woman. Thirty-four years old and attractive, she enjoys patronizing cafés and going dancing with her boss, activities too costly for her sick and whining husband to afford. And when she comes home from work, she finds her dingy two-room apartment, her hostile mother-in-law, her sickly husband, and her taciturn son (who plays a very minor role in the novel) all too unbearable. As a “new” woman, liberated from the shackles of the past, she wants the opportunity to explore whatever blessings life may offer. Seeking to fulfill herself and to’end the interminable winter which typifies her dreary existence, she is both attracted to and repelled by her suave, rich superior, Manager Ch’en. His persistent interest in her offers both freedom and a new horizon. That her dream of a better life might be satisfied by association with Ch’en and by leaving her Chungking home to go to Lanchow suggests how limited her aspirations are. Here also lies the cause of her defeat by her mother-in-law. Oscillating between inner needs and external affairs, in the end she learns that she cannot accept Manager Ch’en’s love and that she really loves her husband. But by that time it is too late, for her husband has been dead and buried for more than a month. Her life can only be viewed as a failure. She fails with her husband from her own shortcomings, for (along with her half-hearted desire to possess him) she lacks the capacity and the tenacity to take on her mother-in-law’s challenges or to help carry the burden of her husband’s anguished soul. Wan Wen-hsüan is the center of this struggle between the two women. His father died when he was a child; as a result, he develops an attachment to his mother that colors his whole existence. Even though he loves his wife, he cannot belong to her completely while his mother lives, for as long as she is alive he cannot really love another woman. Being torn between mother and wife debilitates him. Without the inner strength or, perhaps the desire to choose one of the two, he relies on his obdurate stoicism to make living with himself possible. Willingly and knowingly, he permits, even urges, his wife to go to Lanchow, though he knows she will be going with another man, and he refuses to be a stumbling block to his wife’s “pursuit of happiness.” His masochism is intended to compensate for his failings as a son, for having subjected his mother to unnecessary grief; he unconsciously seeks his own death to repay her for his mostly imaginary misdeeds. For it is only in death that he can once again be completely his mother’s son, undefiled and uncomplicated by a relationship with another woman. Pa Chin wen-chi [Collected Works of Pa Chin] (14 volumes. Hong Kong: Nan-kuo ch’u-pan she, 1970), 10, Yi [Memoirs] , p. 10. Since this is the most accessible edition in print, all references are made to this edition, unless otherwise noted. Hereafter, cited as PCWC. PCWC, 10, Sheng chih ch ‘an-hui [Confessions of a Life] , p. 29. PCWC, 10, Memoirs, p. 5. James E. Sheridan, China in Disintegration (New York: The Free Press, 1975), p. 121. Specifically, “May Fourth” refers to the student demonstrations in Peking in 1919—In a broad sense, “May Fourth” refers to a period of ten years, roughly from 1917-1927. PCWC, 10, Tuan-chien I [ Short Notes I], p. 8. PCWC, 10, Memoirs, p. 66. PCWC, 14, T’an tzu-chi ti ch’uang-tso [Discussion of My Creative Work] , p. 5. Here-fter, Discussion. Lang, p. 249. Lang compares Snow to Zola’s Germinal and regards both works fascinating. PCWC, 2, Sha-ting [The Antimony Miners] , pp. 3-4. PCWC, 7 ,”Hsieh-tso sheng-huo ti hui-ku” [“Recollections of a Writer’s Life”] , p. 8. PCWC, 10, Memoirs, p. 104. PCWC, 7, Kuang-ming [Light] , p. 10. PCWC, 10, Confessions of a Life, p. 37. See also PCWC, 10, Tien-ti [Drops] , p. 23. PCWC, 10, Drops, p. 26. PCWC, 10, K’ung-su [J’Accuse] , pp. 22-23. PCWC, 11, Lü-t ‘u t ‘ung-hsün [ Letters on the Road I , p. 13. PCWC, 10, Huai-nien [Reminiscences] , p. 3. Chen Tan then, “Pa Chin the Novelist,” Chinese Literature, No. 6 (Peking, 1963), pp. 84-92. Merle Goldman, Literary Dissent in Communist China (Cambridge: Harvard University Press, 1967), p. 244. C. T. Hsia, A History of Modern Chinese Fiction (New Haven: Yale University Press, 1961), p. 640. See also Goldman, p. 263. PCWC, 14, Discussion, p. 18. PCWC, 10, Short Notes I, pp. 12-13. Olga Lang (ed. ), Family (New York: Doubleday Anchor Books, 1972), p. xxv. Central Daily News, July 27,1977. See Nathan Mao, “Pa Chin’s Journey in Sentiment: From Hope to Despair,” Journal of the Chinese Language Teachers Association, Vol. XI, No. 2 (May 1976), pp. 131-137. See Chapter 26 in the translated text. Since a Western reader may consider the novel extremely sentimental, it is important to point out that sentimentality has always been a characteristic feature of Chinese fiction and poetry and that what distinguishes the novel is the author’s expression of true sentiments, and not his use of pathos.